Nails are having a major beauty moment - Sally Hansen Salon Effects, Chanel Le Vernis frenzies, and most recently crackled nail polish. 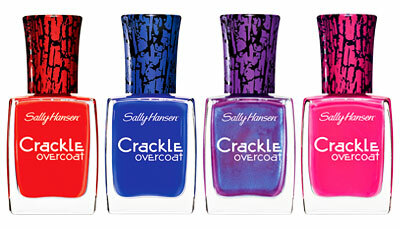 Cover Girl first came out with Crackle Lacquer over a decade ago, but back then it barely picked up. Now the average consumer is more likely to pick up a bottle of limited edition hues ranging from turquoise to yellow or even a bright neon over a ho hum red or pale pink. 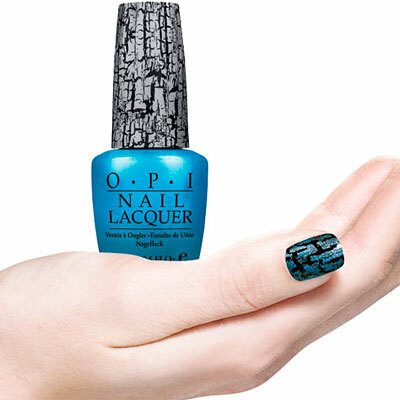 And now that nail art is more trendy than ghetto fabulous, OPI launched Black Shatter at just the right time. 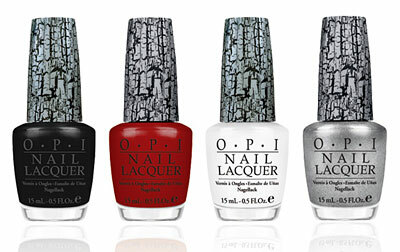 OPI followed up with a white and red shatter for Serena's Glam Slam collection a silvery version for the Pirates of the Caribbean: On Stranger Tides Collection. 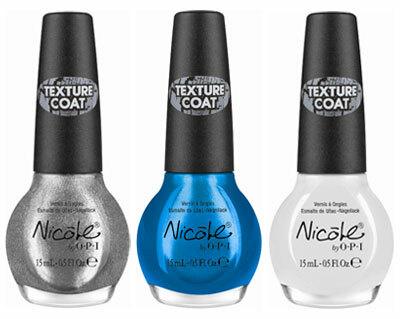 And since blues are in, it's only fitting that the three other shades in the Shatter Collection are turquoise, navy and blue. 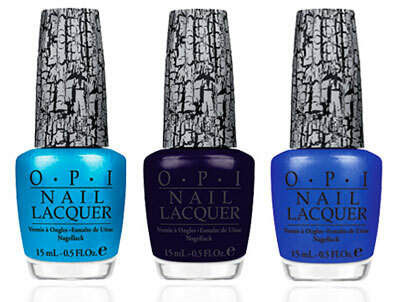 OPI's little sister Nicole by OPI has a Texture Coat launching in July in six similar shades. I think they should've come out with more fun or surprising colors, but I guess they're sticking with what works. 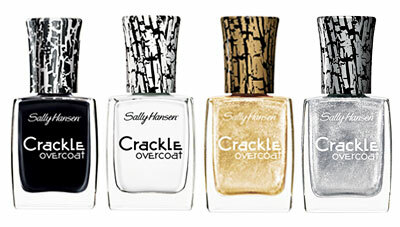 Of course it wouldn't take long for Sally Hansen to launch their own version, Crackle Overcoat, which is available now. 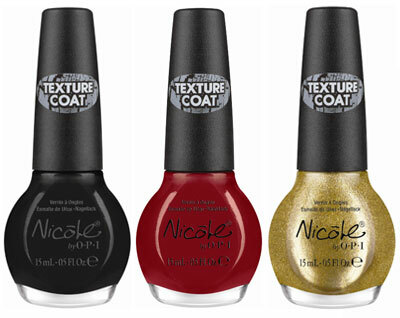 The color range offers eight shades including a bright pink, purple and gold not offered by OPI. 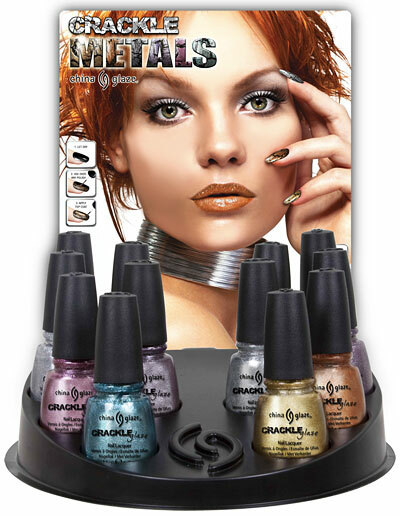 You could also check out China Glaze Crackle Glaze which comes in two collections - creams and metallics. 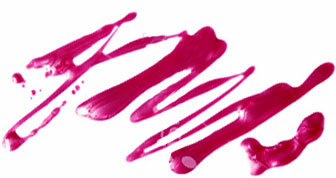 Duri also has a four shade collection called KRAKL. Plus, there are more obscure brands feature shades of crackling polish like Mia Secret Crackle, BYS Cracked Nail Enamel and Barry M.
At this rate you'll be able to mix and match all sorts of colors and finishes. I'm going to try a coral base with a turquoise crackle. What color combo do you want to try?